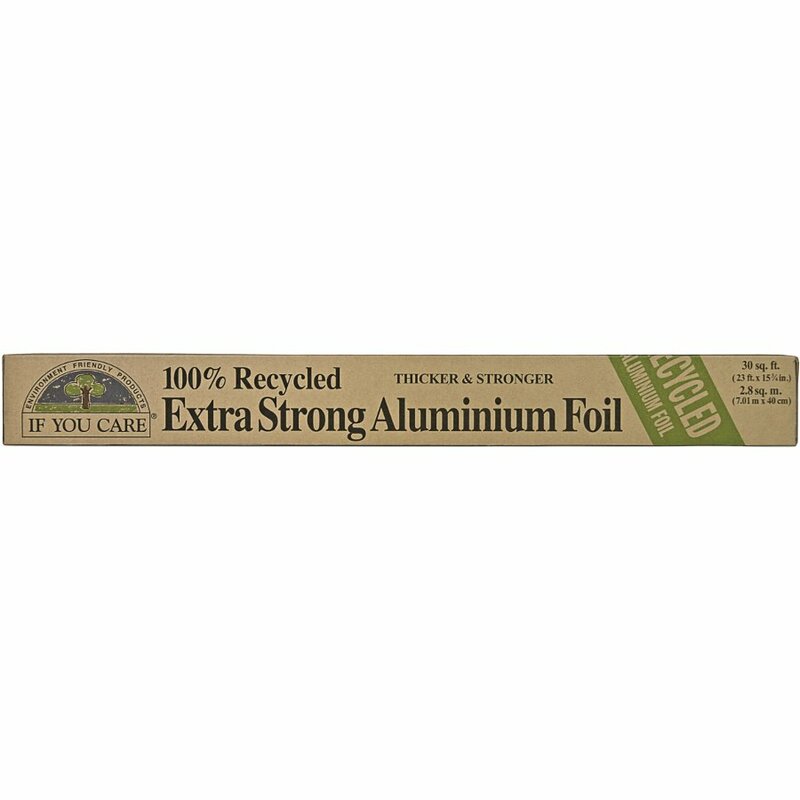 This Heavy Duty Foil is made from 100% recycled aluminium foil which can be used over and over again. The manufactured materials are all made from renewable resources and the packaging materials are made from recycled paper! All of this goes to make this foil the truly green alternative to regular tin foil. There are currently no questions to display about If You Care Heavy Duty Recycled Foil. If You Care is an ethical company, committed to producing household goods that are high quality and yet have a low environmental impact. Therefore all of their environmentally friendly household products are made from 100% unbleached or 100% recycled materials.